“Yeah, that’s all great, but how is it in the rough stuff?” came the reply. 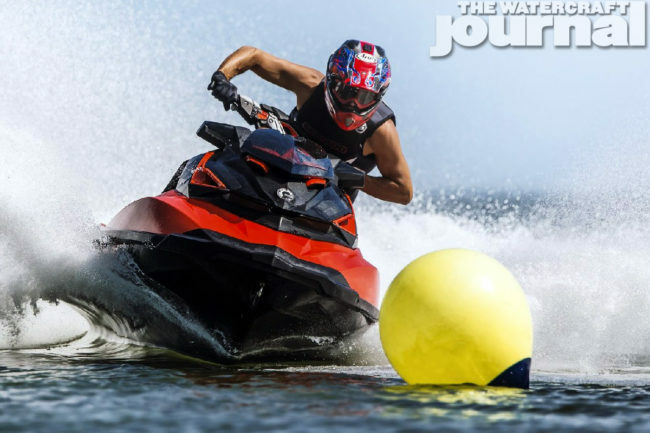 I had spent nearly an hour walking one of The Watercraft Journal’s readers through the highs and lows, the newfangled features and available accessories for the latest Sea-Doo’s hull design, addressing every question he could throw at me. It was exhausting. But apparently, all of that didn’t matter. Gathering a little more insight about his riding style, it was easy to tell that he had no interest in racing, little experience in open ocean conditions, and frankly lacked the physical ability to weather either. “It’s great for what you’re looking for,” I replied. The hard part was understanding that my interviewer didn’t know exactly how to phrase the question that he had in his mind. “How is it in chop?” is a vague query because it doesn’t reflect the intended use of the machine. What attributes are you specifically looking for? What characteristics are you looking to avoid? Most people can’t answer these because they haven’t put enough thought into it – so a salesperson truly worth their salt is going to need to pose these questions in order to direct the customer towards a ski with the hull design that’s best suited to their wants. First, “rough water” and “chop” must be defined. Beginning with the latter, “chop,” by definition, is a “swift, short, cutting blow.” Often this water condition is 1-2 foot (from crest to trough), sharply cresting, crosshatching waves, most commonly brought on by wind or severe boat traffic. “Rough water,” typically, implies conditions far larger than “chop.” Rough water, for at least the purposes of this essay, is erratic, seemingly patternless waves exceeding 3-foot – although not solely restricted by height as large swells or “rollers” can be smooth – usually heavily influenced by prevailing weather systems. Tracking: This is the watercraft’s ability to maintain a straight, consistent line despite water currents, surface conditions, and/or wave patterns; the watercraft’s ability to maintain side-to-side and front-to-rear balance in crossing through and/or over these conditions; and how well the watercraft can maintain plane or planing speed throughout these conditions. Handling: This is the watercraft’s ability to execute a turn or maneuver despite water currents, surface conditions, and/or wave patterns; the watercraft’s ability to maintain side-to-side and front-to-rear balance while executing a turn or maneuver throughout these conditions; and how well the watercraft can maintain plane or planing speed while executing a turn or maneuver in these conditions. 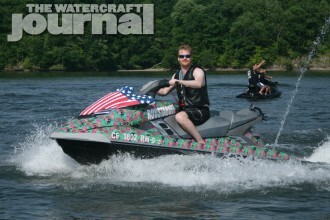 Comfort: The watercraft’s ability to perform the aforementioned with the least amount of duress, energy or physical input from the rider despite water currents, surface conditions, and/or wave patterns; and the watercraft’s ability to absorb and/or deflect impact, reverberation and shock throughout these conditions. 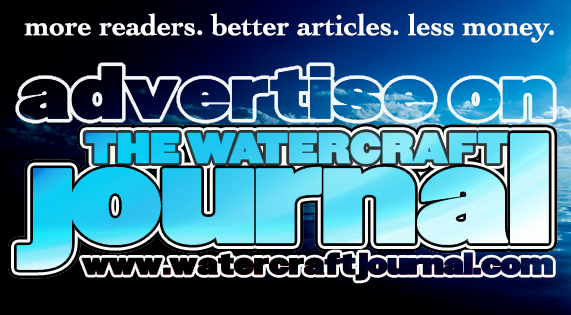 Moreover, it’s important to understand hull design, at least to a cursory degree, for the purposes of this essay as well as future discussions on the matter – either found here at The Watercraft Journal, in online debate or in conversation. At their core, hulls are designed to either displace water or ride on top of it (ie. “planing”), giving us planing hulls and displacement hulls. Most naval architects (boat designers and builders) will agree on four major types of hulls design: flat-bottomed hulls, round-bottom hulls, V-shaped hulls, and multi-hulls (ie. pontoons or catamarans). Because nobody has properly executed a multi-hulled PWC, we’re going to leave that one out and focus on the prior three hull design types. Flat-bottom hulls: These are characteristically very stable, great for fishing and other uses on calm, small bodies of water, but are the roughest riding in choppy waters. Round-bottom hulls: These are characteristically “displacement-style” hulls designed to move smoothly through the water with little effort (ex: canoe, kayak). Round-bottomed hulls are less stable and can capsize more easily. V-shaped hulls: These are characteristically “planing hulls” and are most commonly used for powerboats and PWC. V-shaped hulls are designed to plane on top of the water at higher speeds and provide a smoother ride through choppy water. V-hulls have a greater surface area (ie. resistance) thereby requiring more power to move. Flat-bottomed hulls are prone to “slap” or pound itself over waves – particularly at speed – and due to the minimal surface area, are typically “looser” or harder to control; requiring constant steering correction by the rider. GTI’s are marketed as being “loose” and “playful,” allowing the rider to freely “spin-out” on demand and generally goof-off far more than the Ultra. The Kawasaki’s aggressively-shaped keel only slightly tapers towards the transom. This gives the craft a faster rate to plane, a superior ability to maintain plane regardless of conditions, and a greater rate of deflecting shock or impact from waves. So Whose Got What Hull Design? I explained that first, he was talking about comfort not handling, and the discomfort he felt was because the GP1800 was extraordinarily lightweight, it’s minimalist insulation and NanoXcel2 hull and deck material offering very little in absorption. He came to realize that were the GP1800 a poor handling runabout, there would be no way possible for racers to pilot GP1800s to wins in offshore, endurance and closed course racing several times a month. Like the stiff springs and shocks and super-sticky tires of a racecar, the stripped-down, no-nonsense GP1800 couldn’t offer the insulated ride he was wanting. 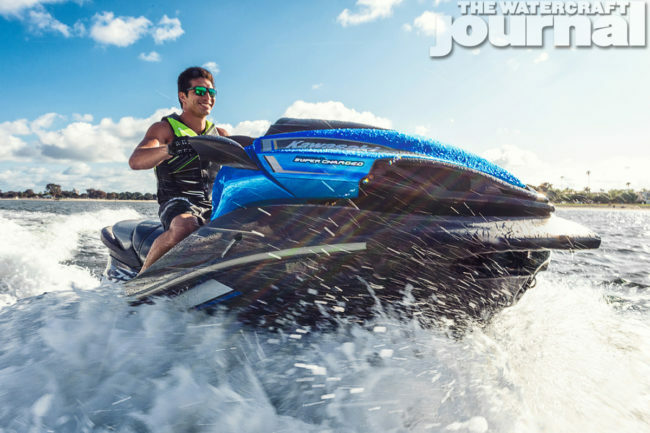 Sea-Doo’s new ST3 prominently features flat hull surfaces running from sharply-angled chines that blend into large, flat-bottomed shelves flanking the craft. This is what gives the new full-sized runabout its exemplary stability, particularly while at rest (making the advent of the Fish Pro 155 all the more appropriate). 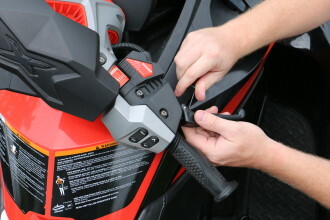 These flat surfaces also account for the Sea-Doo’s tendency to turn flat, with little inside lean. 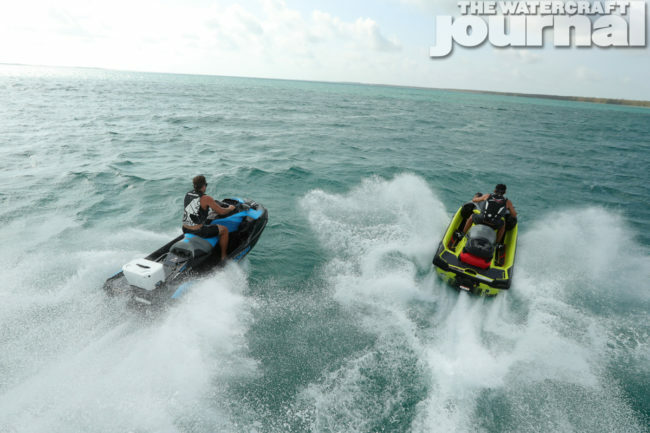 It is also the widest hull Sea-Doo has produced, and wider hulls have greater surface in contact with the water, and therefore experience more resistance. Conversely, a hull lacking these flat surfaces or sharp chines won’t react as abruptly to waves and usually rides much more softly — it also won’t “snap roll” in a turn like a hard-chine hull will (best exemplified by the RXP-X’s T3 hull). Yamaha’s current GP1800 and new 2019 FX platform, which shares a great deal of design DNA with the former, features round or “soft” chines, a shape that naturally generates lift (quicker to plane) and less resistance, letting the craft intuitively roll into a turn, providing the rider with a predictable inside lean. This may come at the cost of being as stable as say a stationary ST3. Finally, the balance of vehicle weight and horsepower (power-to-weight ratio) plays a final component. Obviously, overall vehicle weight plays a central part in the watercraft’s displacement, as a heavier craft or one with a prominent deadrise will have a great (or deeper) draw. “Draw” is how much of the hull is physically in the water while at plane, and for many watercraft, this alone can delineate what makes a craft smooth and predictable in the rough, or jarring and unpredictable. A heavy, deeply-keeled hull will ride smoother and more comfortably, but will require more power to reach plane. A lighter-weight hull with less deadrise will reach plane far easier, but typically telegraphs more vibrations to the rider. 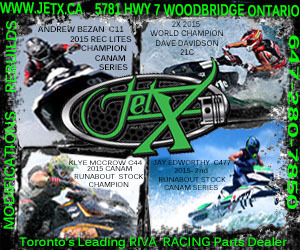 Currently, all Rec-Lite watercraft (Sea-Doo Spark and Yamaha EX) lack the weight and deep-V hull to track, handle or cushion a rider over aggressive seas. The added weight and subtle deadrise of the GTI, VX and even STX-15F provide improved rough water tracking and handling, but will still communicate turbulence concurrent to their particular weights and designs. Sea-Doo’s new ST3 hull (RXT, GTX, Wake Pro, Fish Pro) offer extraordinary stability while stationary and at cruising speeds, and excellent comfort at all times, but at the cost of predictable tracking and handling in tumultuous seas. In chop, the hull design of Yamaha’s GP1800 gives it a ability to track and handle that is unmatched, but as noted, is intentionally light on insulation. The new 2019 FX platform shares much of its design and rough water talents with the GP, but manages to distribute and deflect vibrations far better, providing a smoother, more insulated feel. 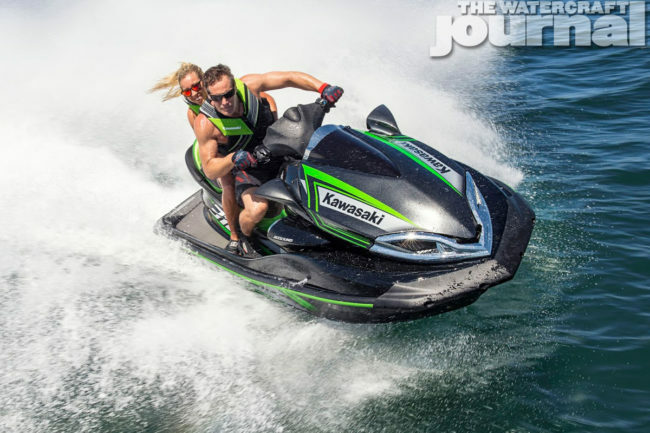 Finally, Kawasaki’s Ultra retains the industry’s most aggressive deadrise and the heftiest weight, giving the craft both incredible rough water comfort (ie. insulation) as well as instinctual handling and proven tracking. 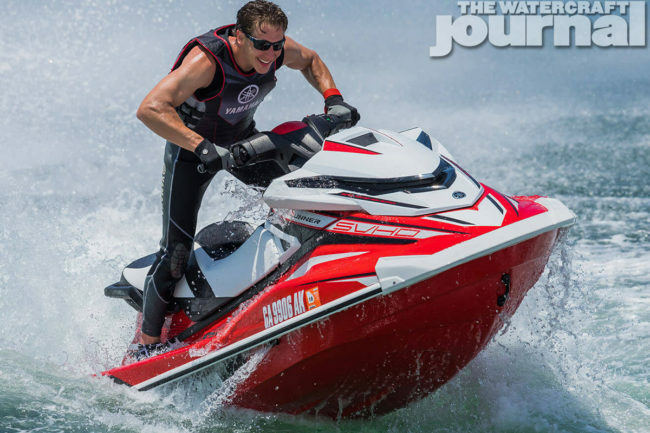 This all comes at a cost, and the 310-horsepower Kawasaki’s fuel consumption while getting the craft to plane is substantial. So what of our curious reader at the beginning? 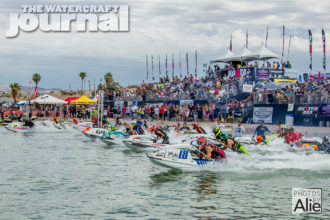 Investigating deeper, he wasn’t so concerned with how well he could execute a hairpin turn around a buoy in bathtub-like water, but rather, how well the craft would soak up the bumps and jostles while he passed a busy stretch of lake. In other words, he needed a hull design more biased towards comfort. For the dissatisfied Yamaha owner, he too was looking for greater insulation while somehow retaining his supremacy at owning one of the quickest skis amid his friends. Racers and hot doggers will happily choose a hull design that gives up the cushy, insulated feel for greater handling and tracking prowess. 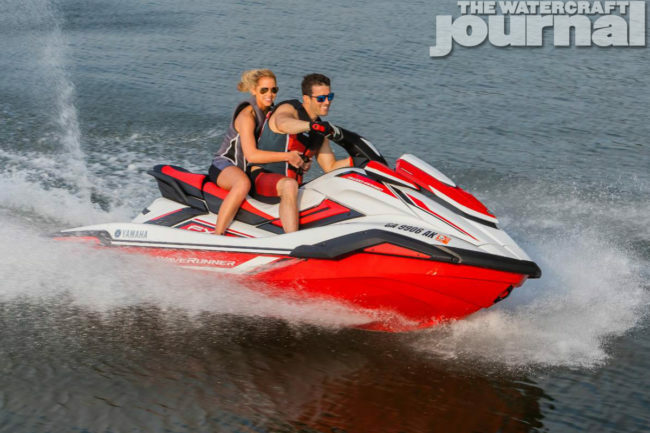 Remember that when you start looking into purchasing a new watercraft. What are you really looking for? C’mon, be honest.